As I've mention in my last post. I have recently challenge myself with a monmouth task of creating a trio of street snacks from Southeast Asia. This is the final dish that complete the wonderful trio. The whole cooking process took me almost 2 hours from start to finish, which explains why I am currently smirking and feeling slightly pleased with myself for achieving this feat. For those with keen eyes and avid follower of my blog. 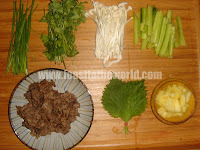 You will noticed this creation is born out of frugality as quite a few of the ingredients featured were from my previous cooking such as the beef and enoki mushrooms from Japanese Beef Hotpot (Sukiyaki すき焼き) and shiso leaves from Pan-fried herrings. They were delicious being used here in this Vietnamese rice rolls. 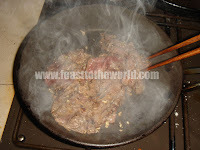 By first marinating the beef and then quickly seared it in a hot pan, you get a smoky subtle sweetness. The shiso complemented the lightly charred beef with an aromatic, minty flavour, not dissimilar to the taste of Vietnamese mint. 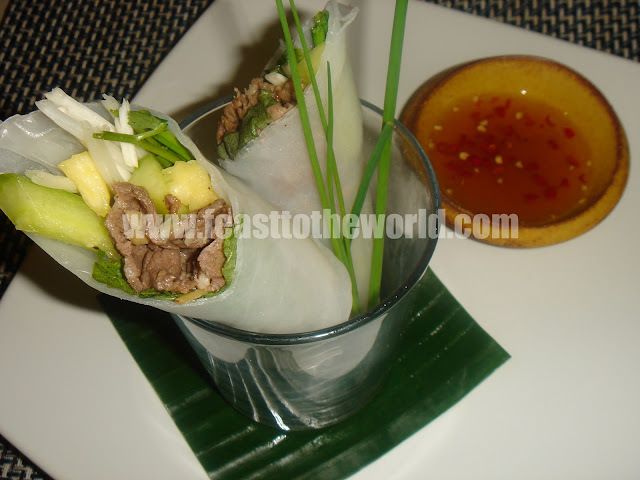 Then you get a fruity pineapple along with some crunchy cucumber and all the rest of the fresh herbs which just made this a perfect combination. 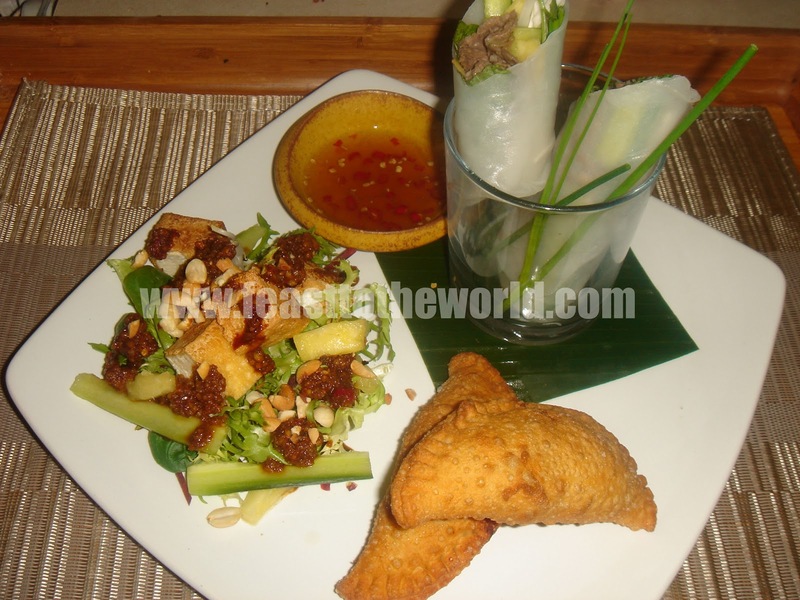 Along with the piquant dipping sauce, this will make a perfect appetizer or a light lunch......the only other ingredient you will need is some glorious sunshine to go with. To make the dipping sauce, combine all the ingredients together in a bowl and stir to mix well. Make sure the sugar are fully dissolved. Set aside. 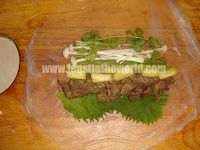 In a bowl, put the beef, garlic, soy sauce, sugar, salt and pepper and leave to marinate for 30 minutes. 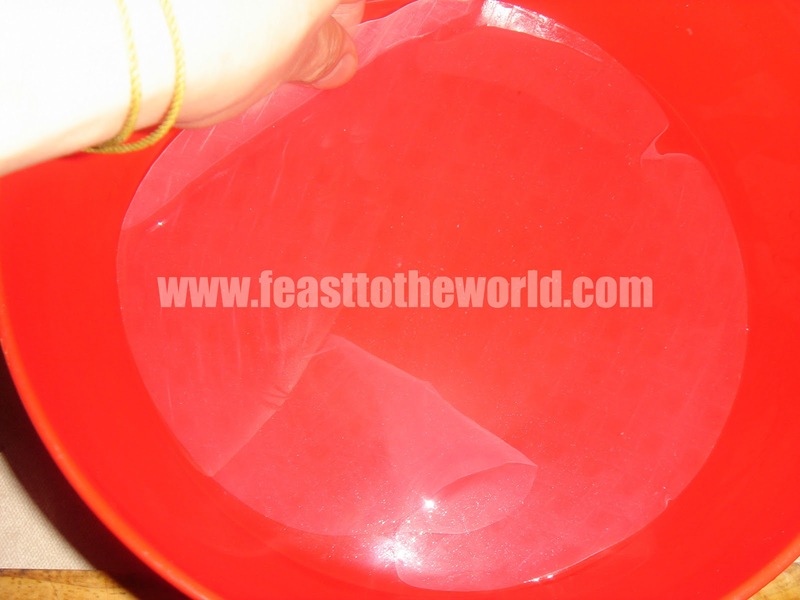 After this time, heat up the oil in a large frying pan. When smoking, add the beef and fry for 1-2 minutes, until the beef is browned and cooked. 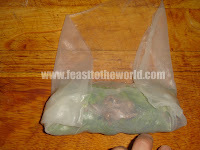 When ready to roll the wrap, dip a rice paper in a bowl of warm water for a few second to soften. 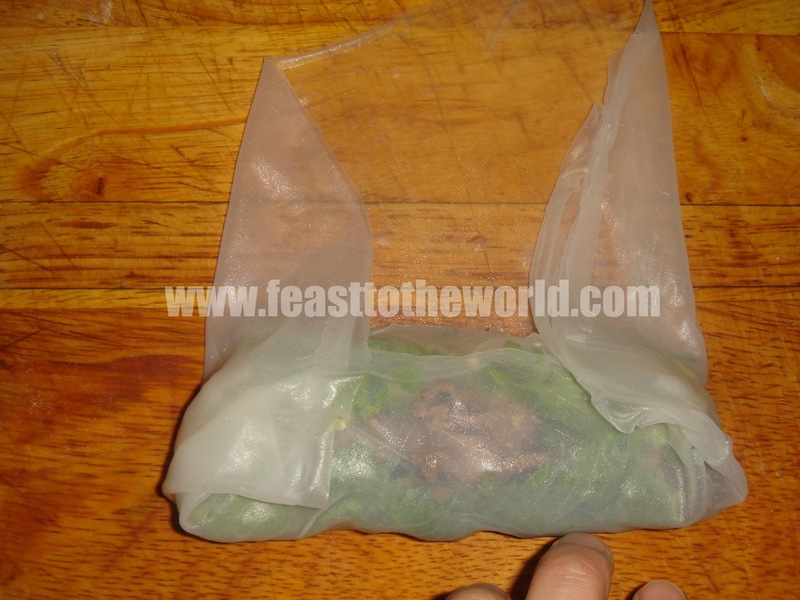 Lay onto a working top and repeat with a second rice paper. 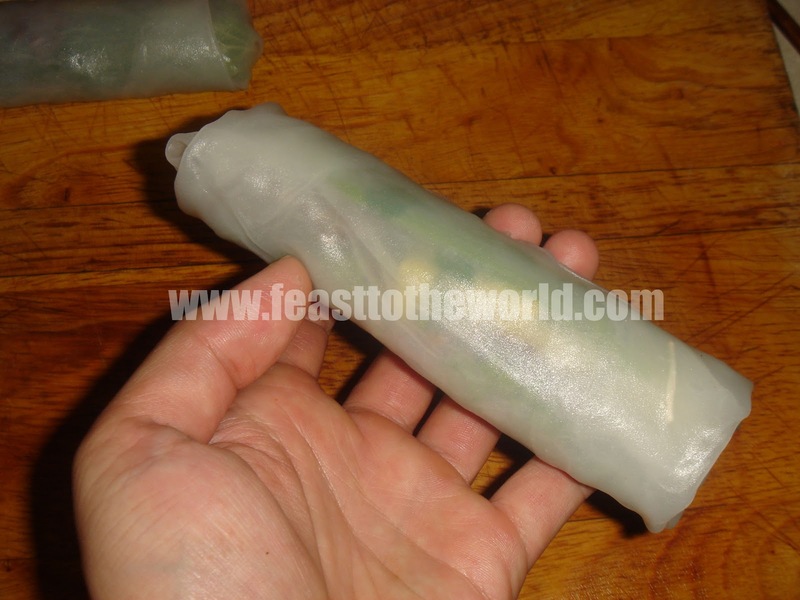 Lay this onto the first rice paper to strengthen it, thus preventing the filling from bursting through later when rolled. Arrange about 2 shiso leaves, if using, some beef, a small serving each of pineapple chunks, enoki, chives, coriander and mint (if not using shiso) in the middle of the wrappers. 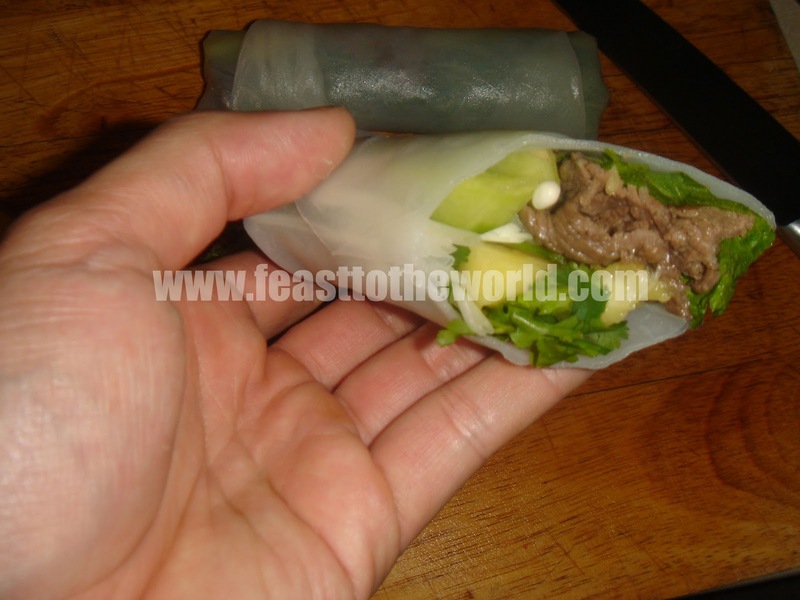 Lift from the end nearest to you and fold over the filling. Fold in both sides of the wrappers and roll tightly away from you to form a cigar shape. Repeat with the rest. Sliced diagonally for presentation and serve immediately with the dipping sauce on the side.